Of course it uses contractions–it’s a lodge, after all. 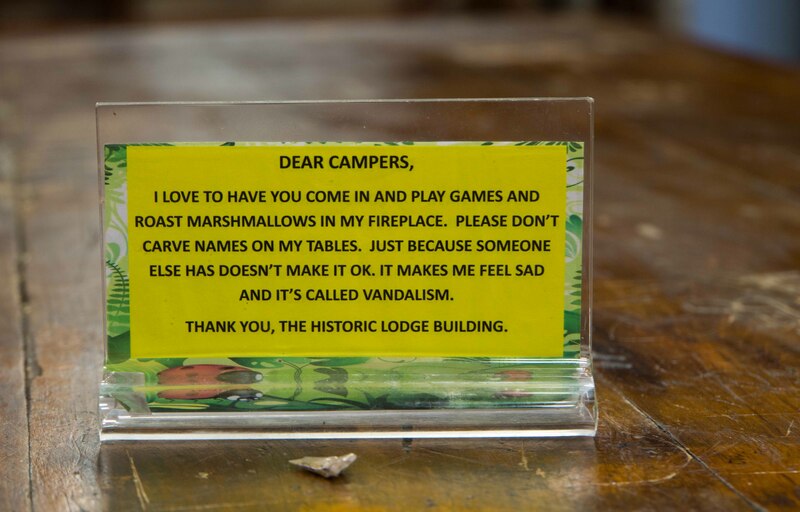 Things get all informal and cozy at a lodge, remember? Still, I can hear the manic cry behind the uppercase. This is wonderful. I’d have taken a photo of it too.